Enjoy this innovative strategy game that features unique and immersive gameplay for players to enjoy. Summon massive armies to obliterate your players and any fortifications that they may have. Form a guild and recruit allies that’ll help you out during times of war. The mobile platform is home to tons upon tons of exceptional strategy games and new games seem to surface every other day but it’s definitely been a while since we’ve seen something truly out of the ordinary. Fortunately, though, Anvil: War of Heroes is here to change this trend. This is an exceptional strategy game that’s quite unlike most other modern day strategy games out there which is why it’s certainly worth giving a shot to. 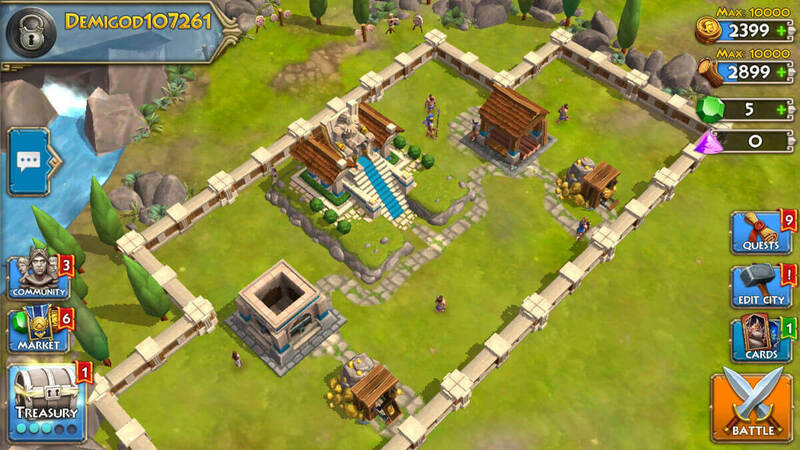 Much like any other strategy game worth its salt, Anvil: War of Heroes can be a tad bit difficult to get into due to how much there is to learn at the beginning but, thankfully, the game does an excellent job of making the learning curve easier for newcomers and it does so by implementing an extremely helpful tutorial sequence at the beginning that explains all the fundamentals to the players in order to ensure that they understand how the game works and can progress through it without trouble. 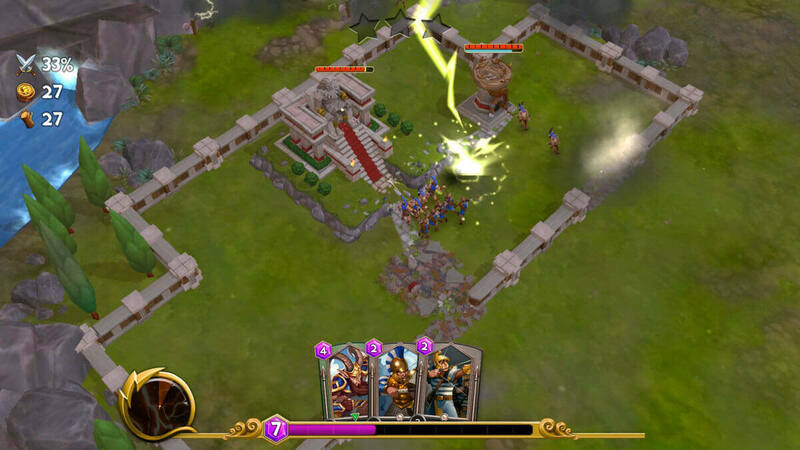 The gameplay of Anvil: War of Heroes is, at its core, quite similar to that of most traditional strategy games but the game does make a variety of mechanical changes that make it feel significantly faster paced than traditional strategy games and give it a unique identity of its own. The biggest change that you’ll notice in Anvil: War of Heroes is the fact that it completely removes building and training times by adding a new card system to the mix. The card system basically allows you to summon buildings and units immediately at will at the cost of some resources and it’s a great system that makes the game feel significantly more engaging and enjoyable. 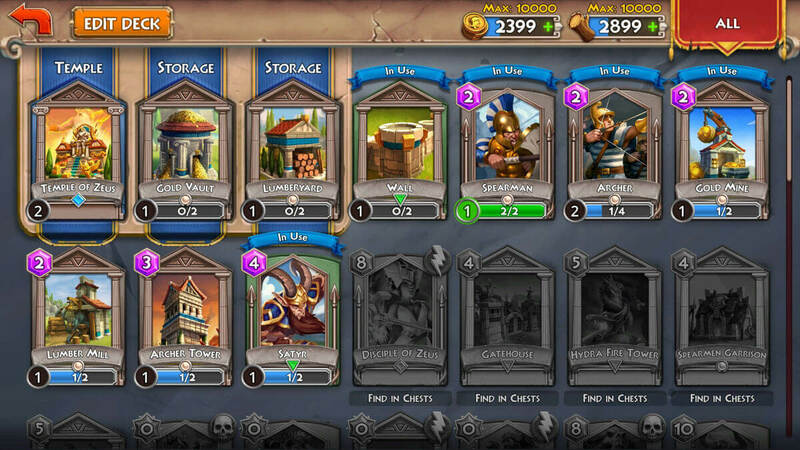 On top of the exceptional core gameplay, fights in Anvil: War of Heroes feel highly strategic and exhilarating. Before you actually raid an opponent, the game will give you the chance to fully scout their base so that you can plan your attack accordingly. As for your forces, there are tons upon tons of different kinds of units in the game that you can summon into battle and we highly recommend using a variety of different units every single time you raid someone as it’ll ensure that your attack isn’t easily nullified by a single countermeasure. In terms of visuals, Anvil: War of Heroes is probably one of the best looking strategy games to surface in recent times. The textures of the game are extremely high definition, the color palette is bright and vibrant, the units have a ton of detail in them and the game also features some absolutely stunning special effects that take place during battles. Anvil: War of Heroes is completely free to download and play but it does come with micro-transactions that’ll allow you to purchase bonus in-game content with real world money. All said and done, Anvil: War of Heroes is an innovative strategy game that we certainly urge players to give a shot to.